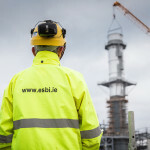 ESB is a state owned electricity company operating in the Republic of Ireland. 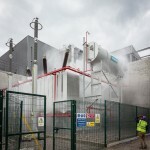 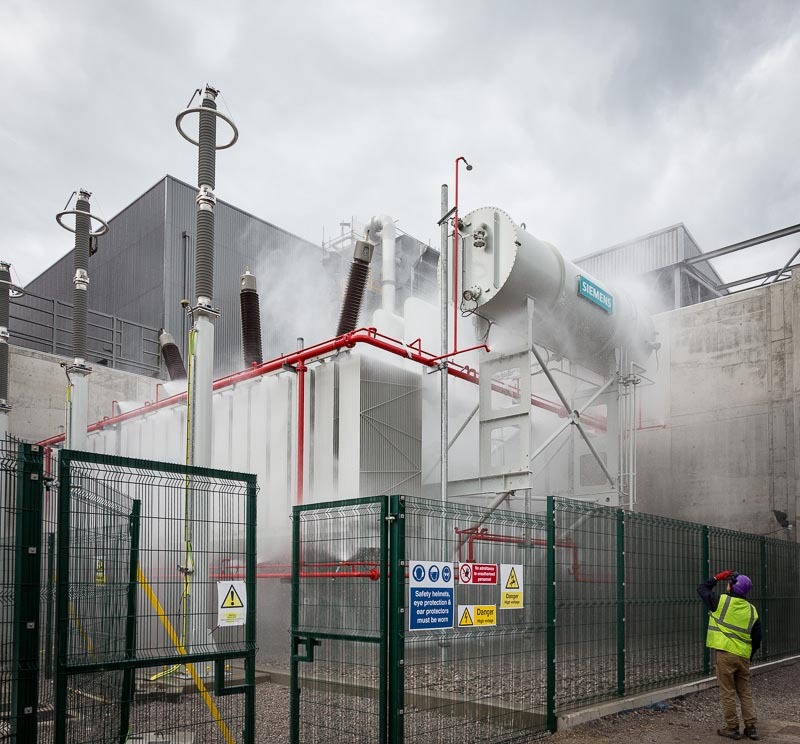 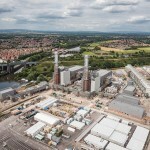 They are building a new gas-fired power station in Carrington, Greater Manchester for Carrington Power. 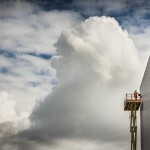 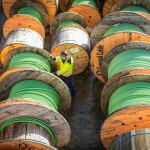 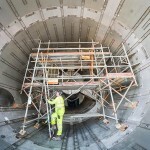 The major construction contractors for this project is being completed by engineering consortium Alstom – Duro Felguera. 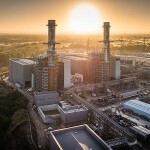 The 880MW power plant will enter commercial operation in 2016 following the three-year construction period and will generate enough electricity to supply the needs of around a million homes. 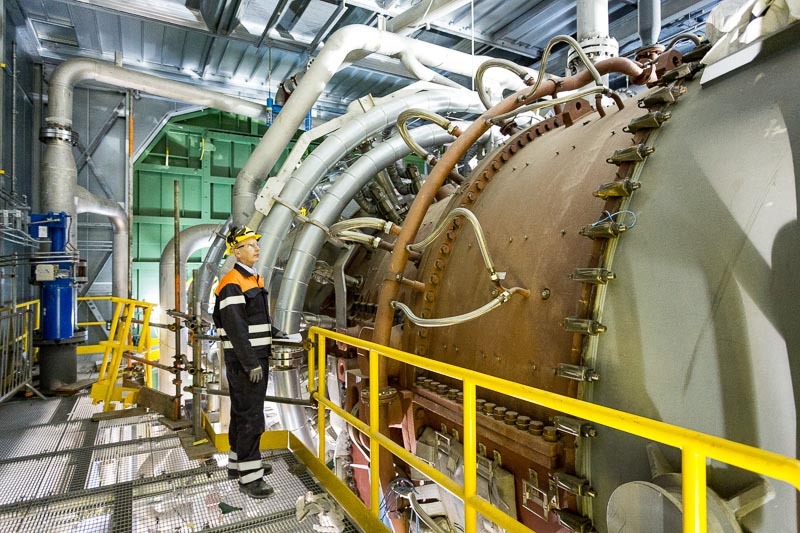 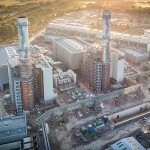 The station is being built using the latest natural gas combined cycle technology (CCGT) to ensure maximum energy efficiency and minimal impact to the environment. 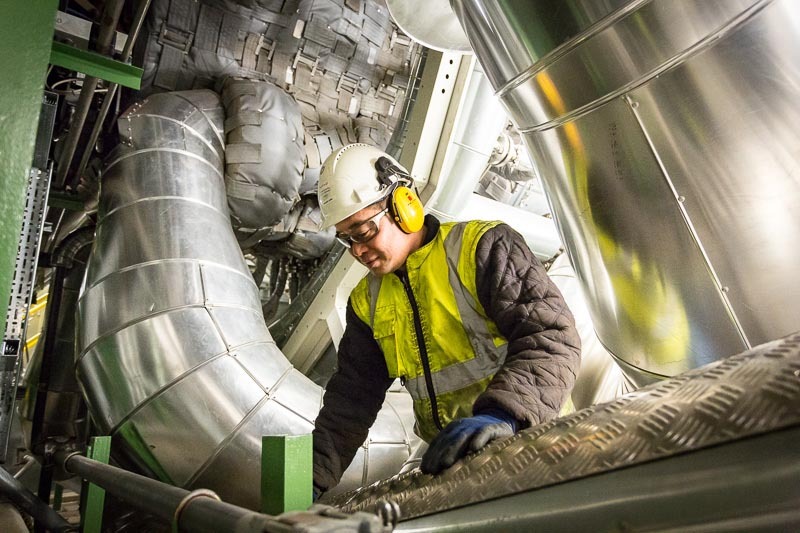 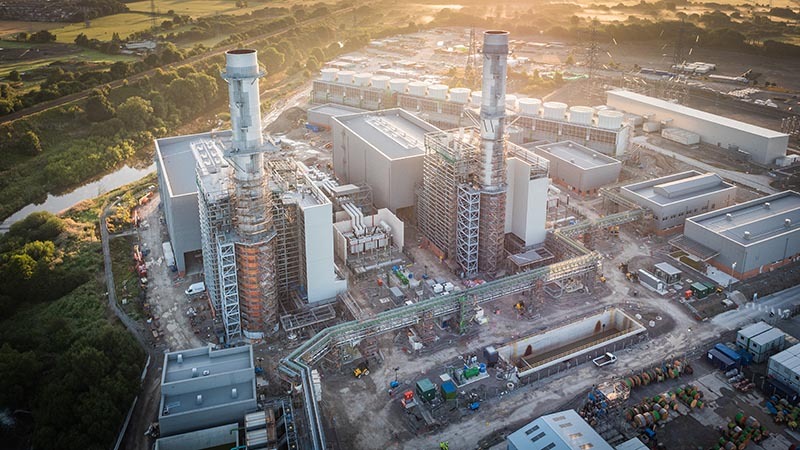 It will be one of the most efficient power stations in the UK once finished. 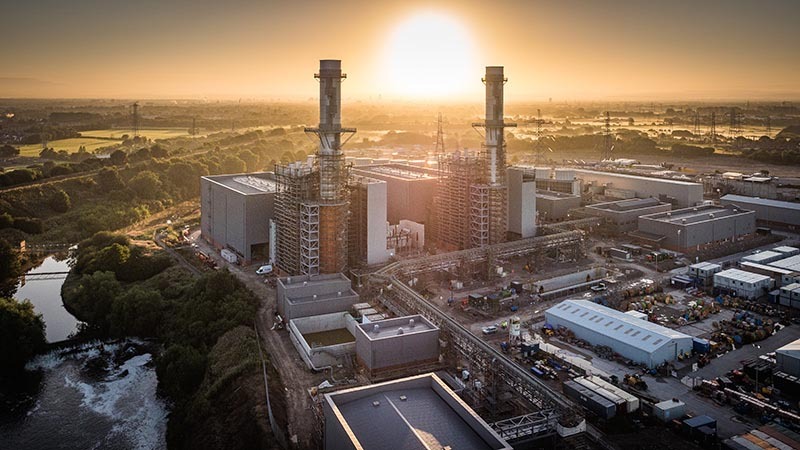 Carrington Power received planning permission in 2008 for the construction of the plant at the former Carrington coal-fired power station site. 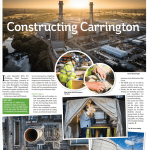 Carrington Power will generate more than three times the amount of electricity than the former coal plant but will occupy only half the land. 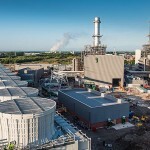 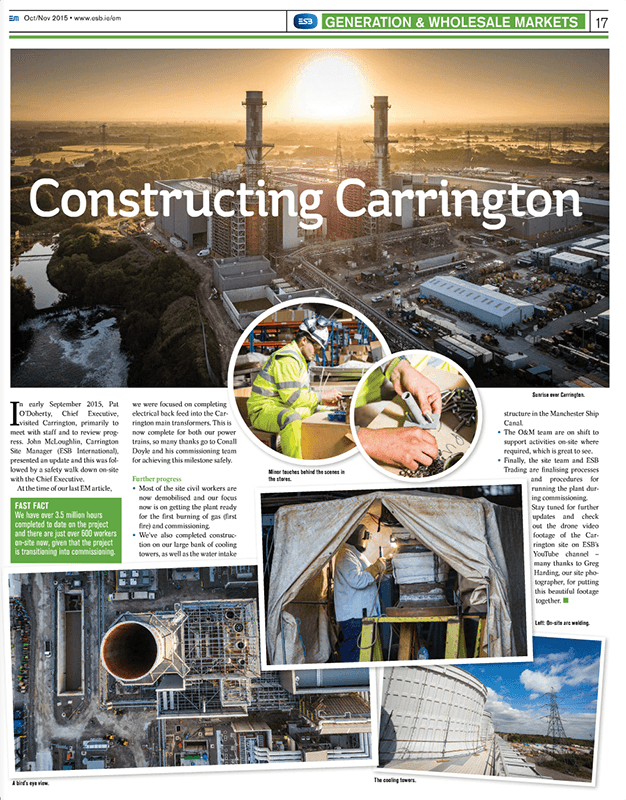 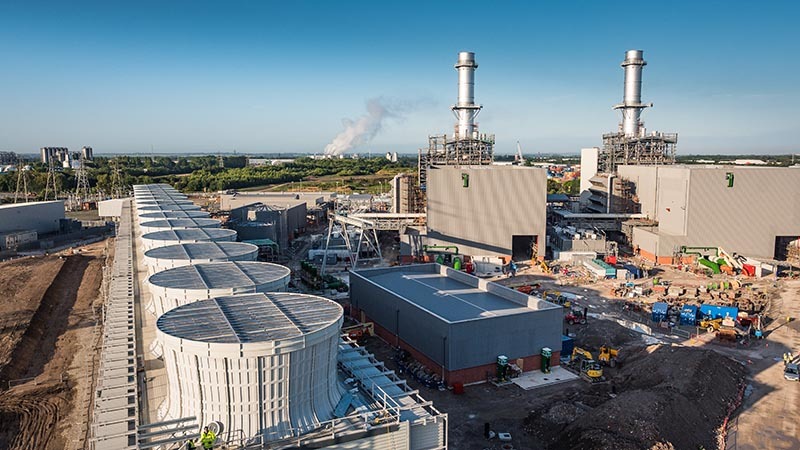 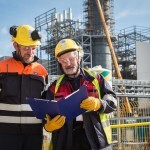 To provide on going construction and civil engineering photography over a 36 month time frame following the construction phases of the Carrington power station. 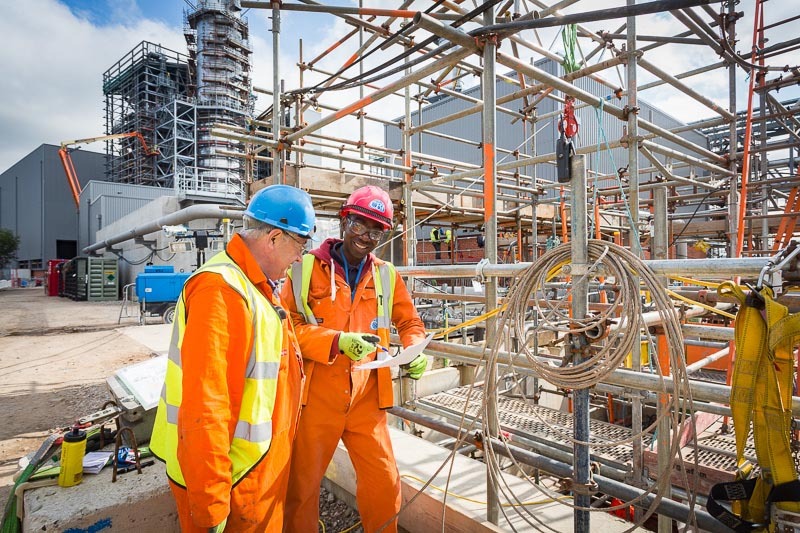 Objectives to create an image collection for the project which covers; monthly fixed position photography of the site, construction imagery to cover all the technical aspects of the sites development through to completion and any press related PR imagery. 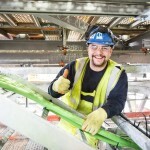 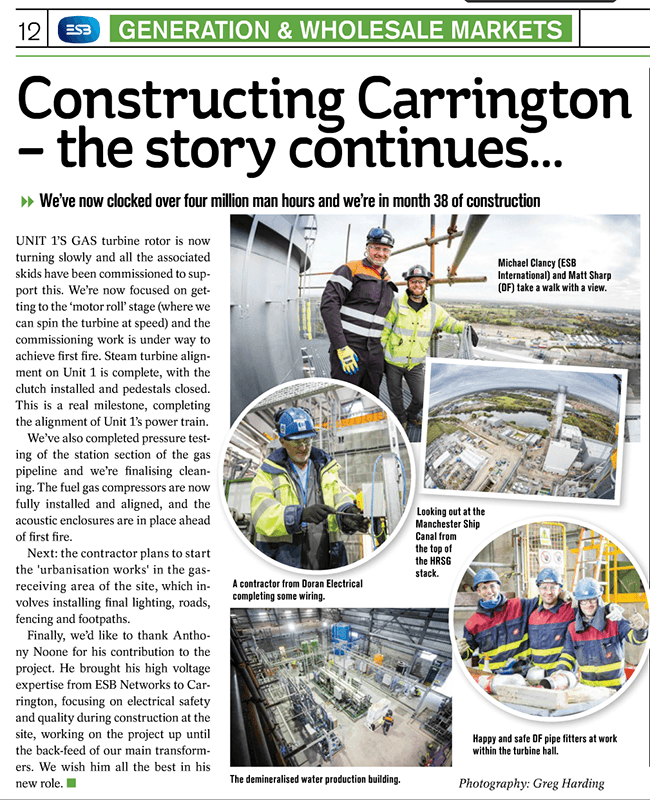 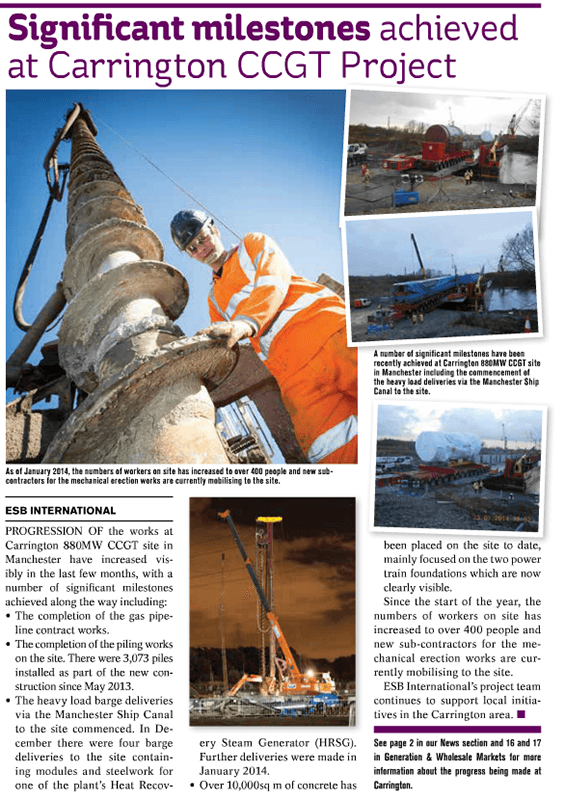 GHP have been working alongside the ESB construction team at the Carrington site over the past 3 years. 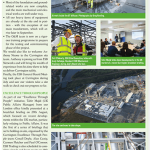 Over the first few months of the project, we visited on a monthly basis. 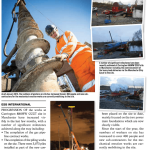 Once the piling, foundation ground works and steels started to appear this was increased to once every 2 weeks. 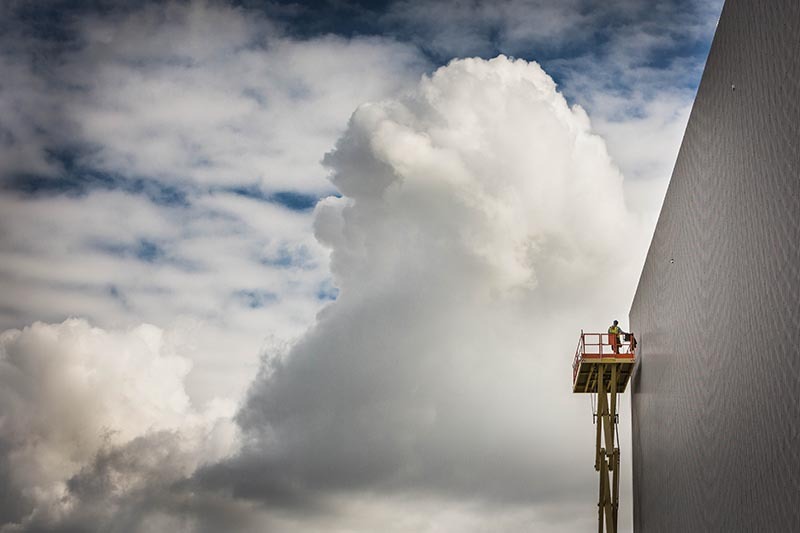 The pace of construction, especially at peak time, for is when the site can change in appearance most dramatically. 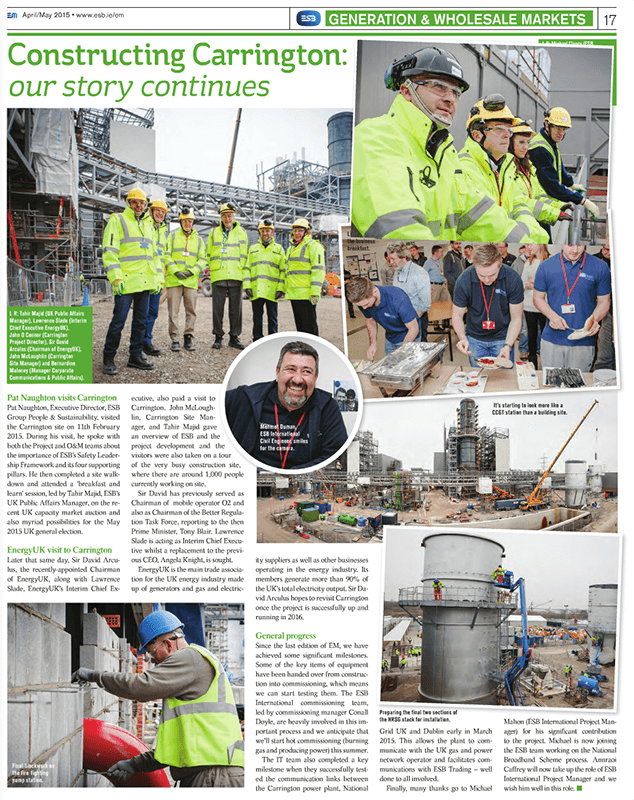 We work with the sites project managers to ensure that coverage of vital milestones are planned for and captured as creatively as possible. 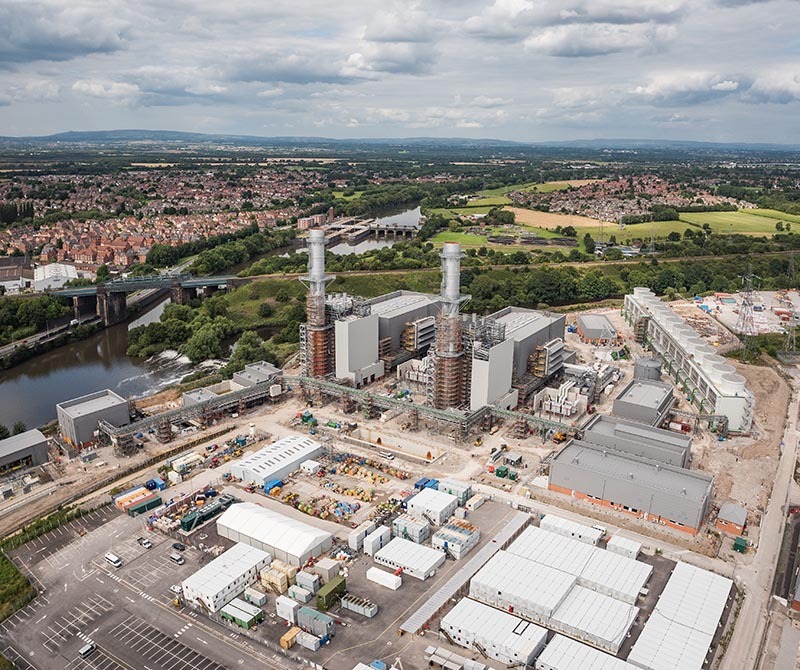 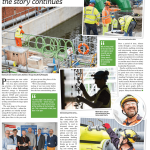 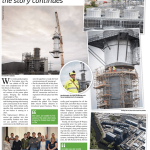 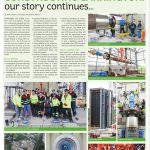 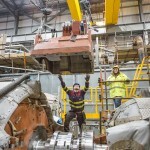 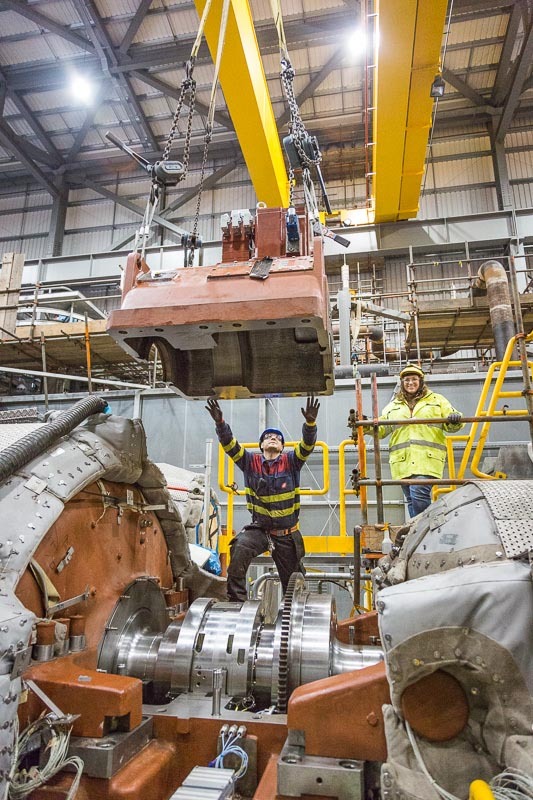 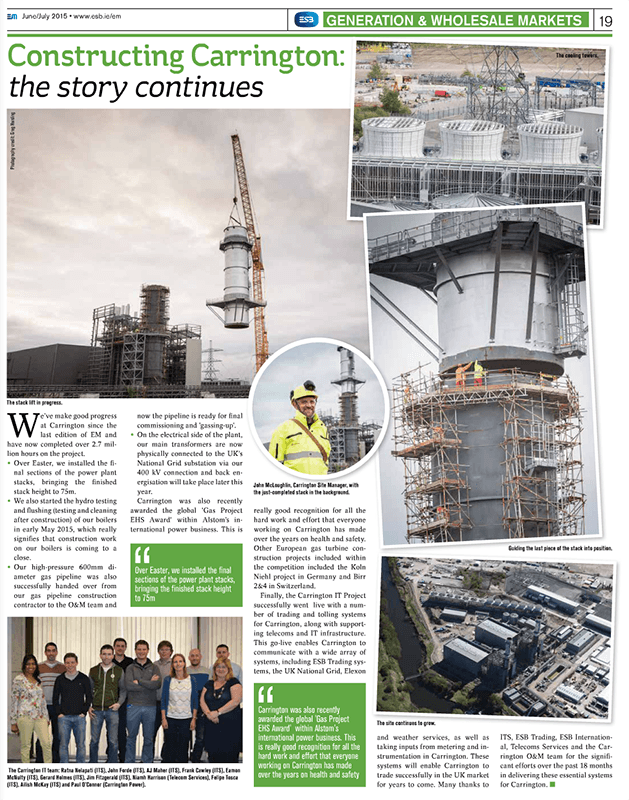 Some of the major milestones (materials delivery by barge, installation of turbines, lifting the stacks into place) are covered both with stills, time-lapse, aerial photography and video where appropriate, some examples of which can be seen below. 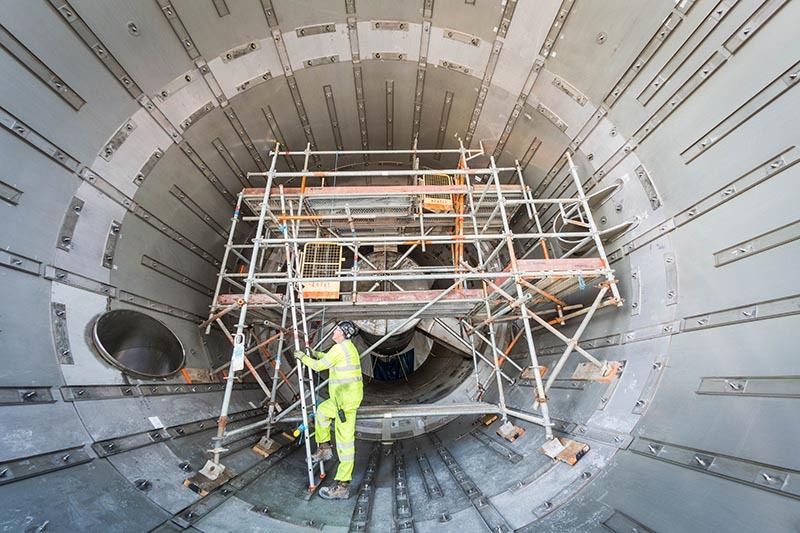 Nearing the completion of this project we’ve created a library of nearing 10,000 images that will demonstrate the project evolving over the 3 year timescale. 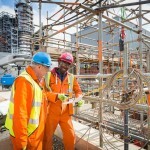 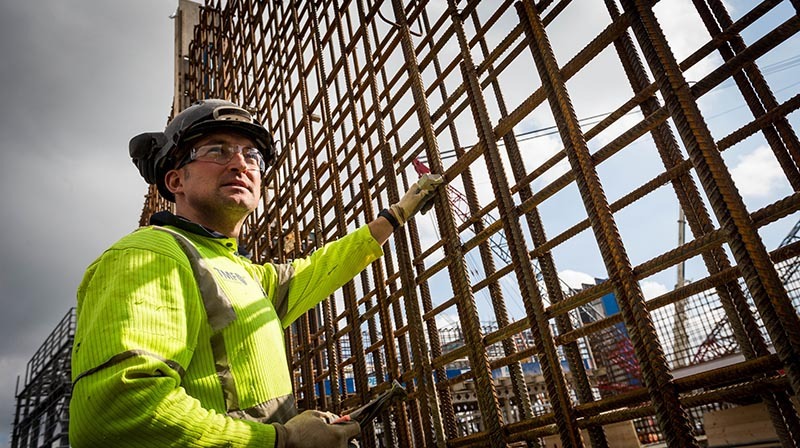 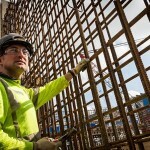 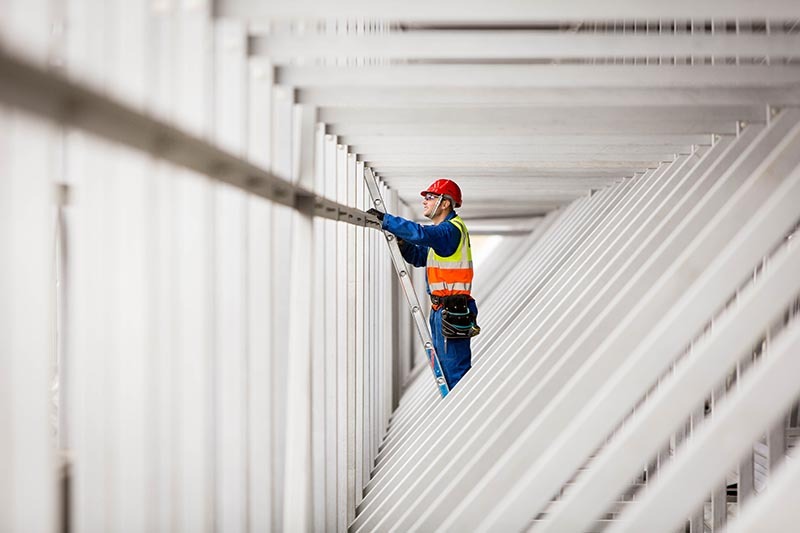 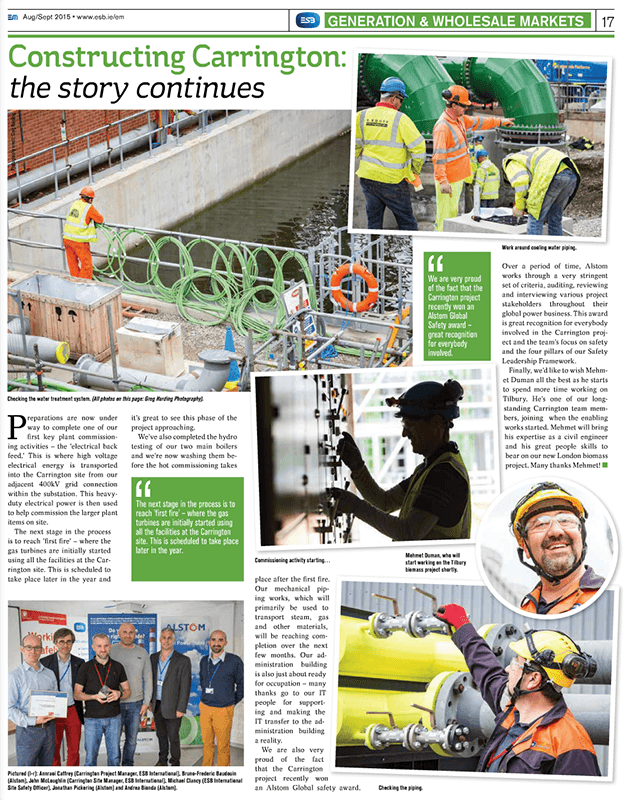 The imagery be used to secure future investment, demonstrate engineering and construction competence and provide a lasting historical legacy of the projects success. 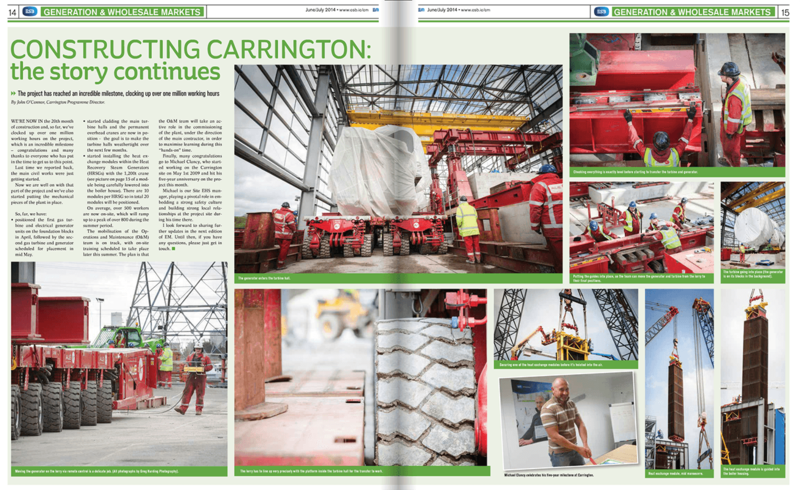 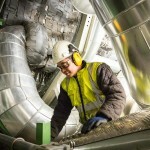 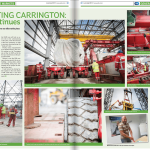 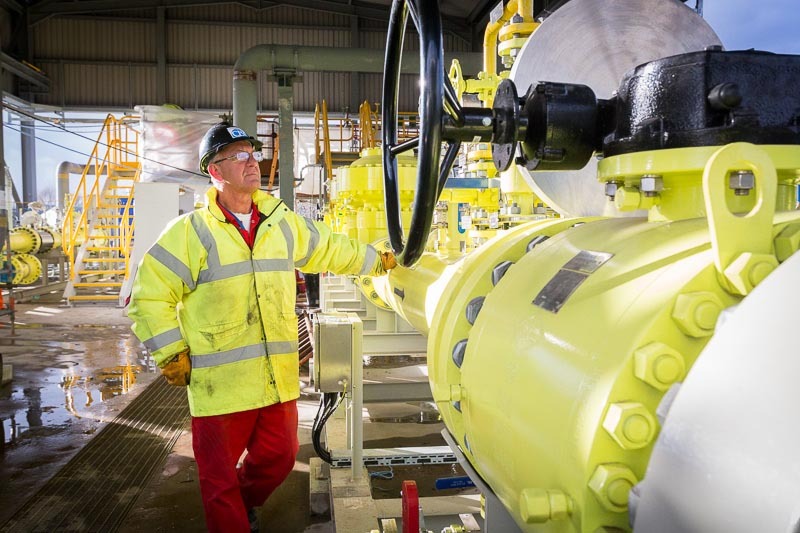 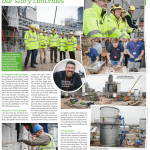 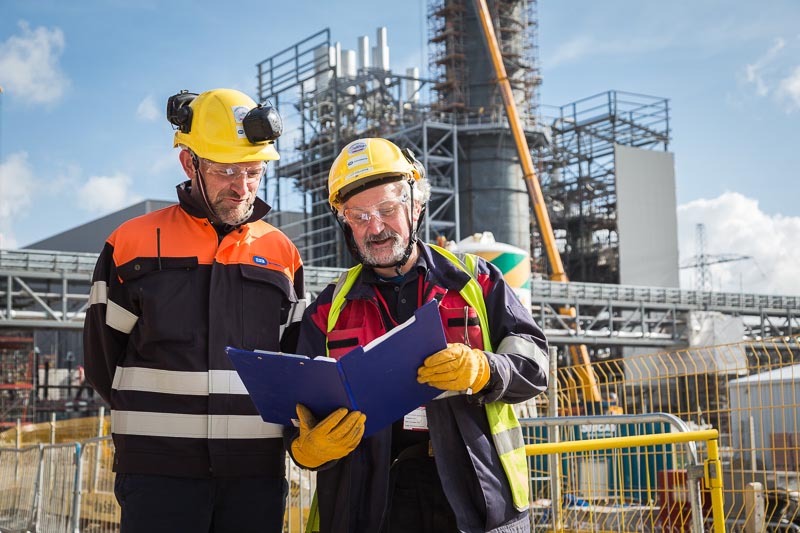 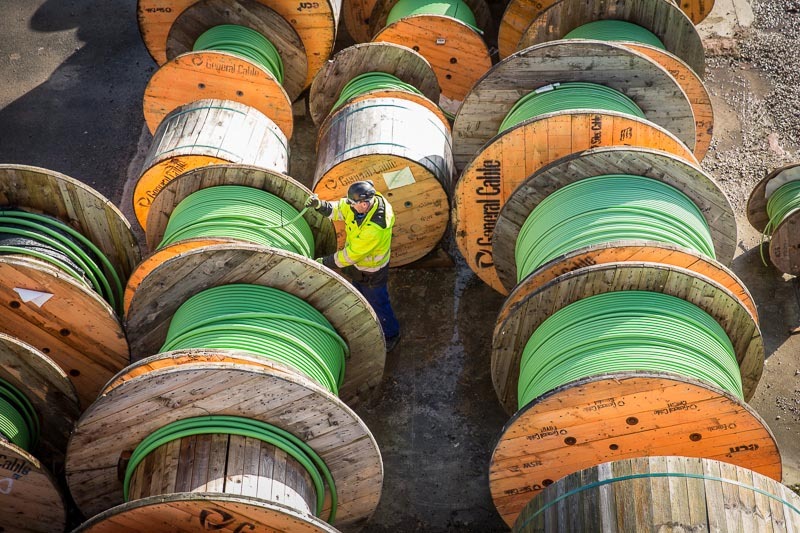 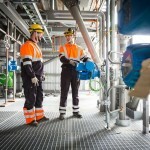 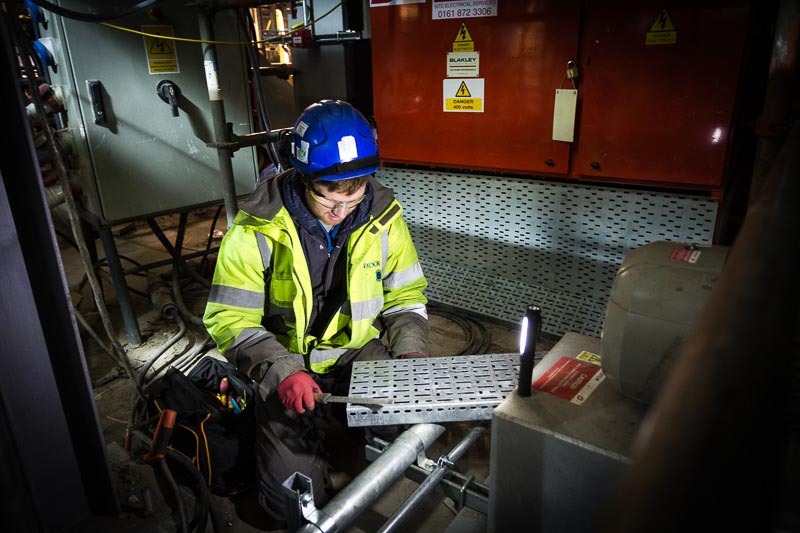 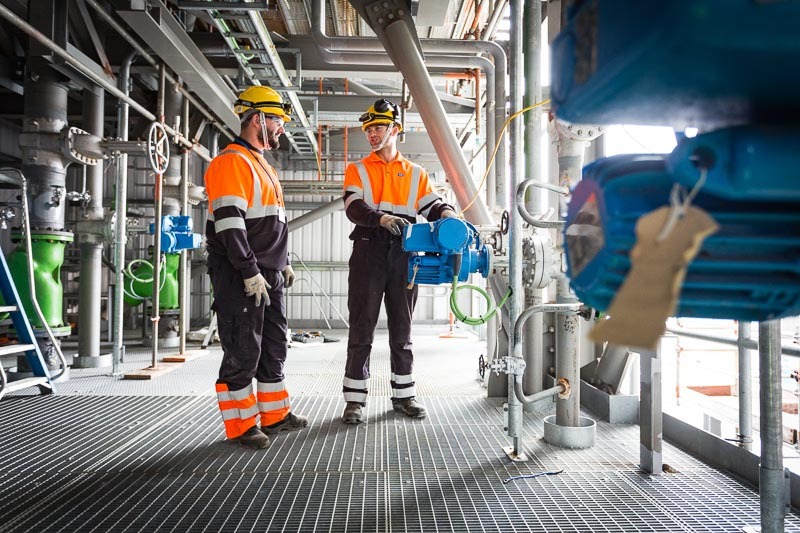 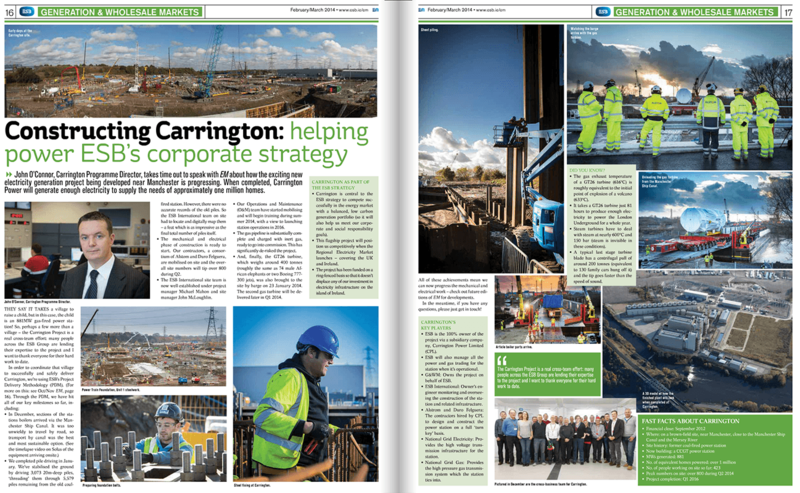 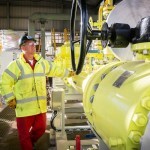 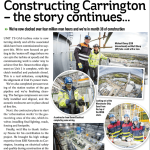 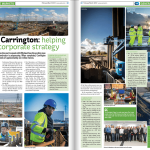 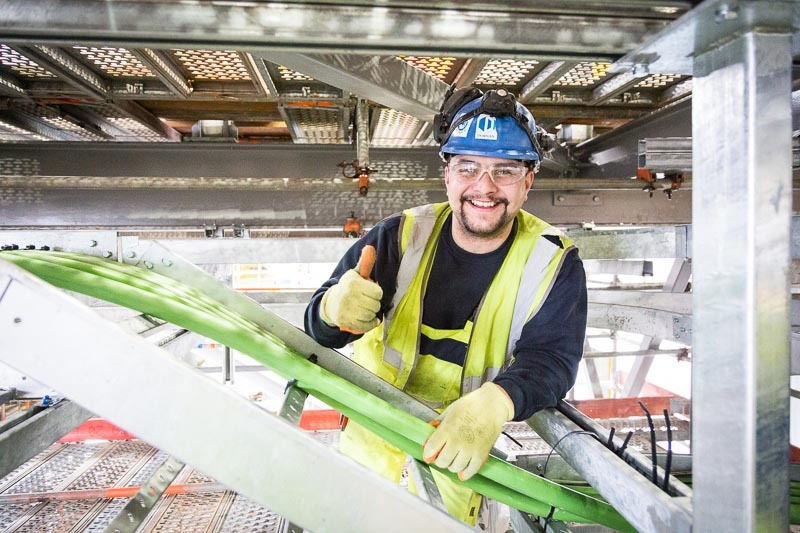 Here’s some of the stills photography and videography provided to ESB and Carrington Power Ltd whilst on site. 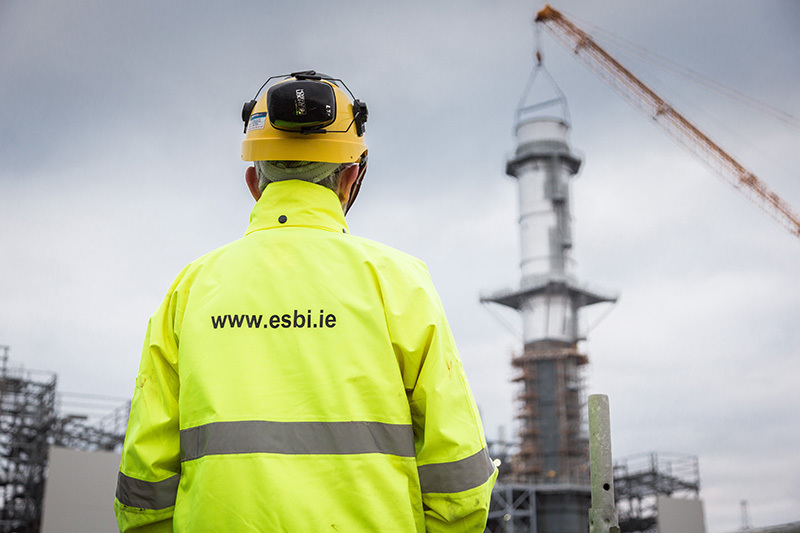 The client’s reaction and the many marketing personnel involved at ESB Ireland has been extremely positive. 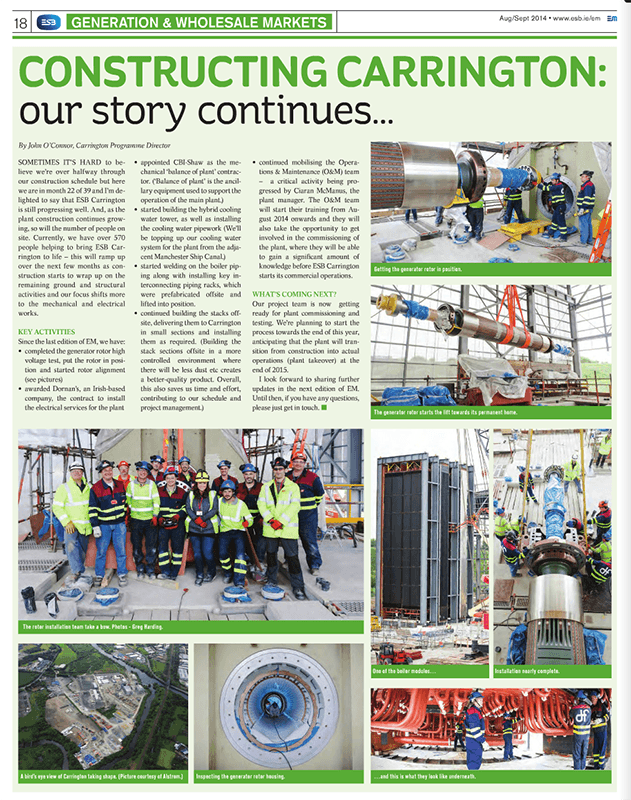 Many actively look forward to the updates and regularly share the fresh content in their internal magazines to staff and provide progress updates in meetings with share holders. 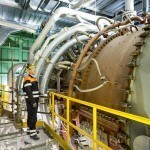 Here’s a few examples of how the stills are being used internally.